Loadmax Transport Silver Rope gives the benefits of superior strength, wear and abrasion resistant, water proof and provide excellent knotting properties generally for the transport, industrial and shipping industries however Silver Rope has many other applications. • Rope diametres available from 6mm to 12mm in 125 metre and 250 metre coils. • Manufactured with a 3 strand Hawser Laid from polyethylene textile. • An information card with lashing capacities and knot tie guide also provided. 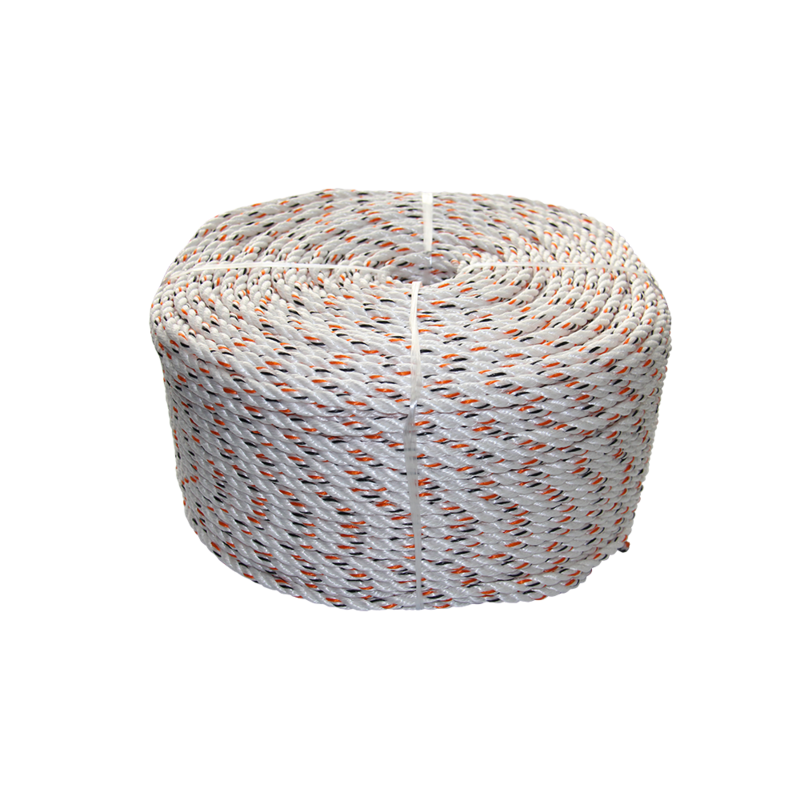 • All Silver Ropes are white in colour with a strand flek to identify lashing capacity. • Batch Test Certificate available upon request.